Gordon C. Luick, 93, Fairmount, died Thursday, September 26, 2013 at the family farm, rural Fairmount, ND. The Mass of Christian Burial will be held on Monday, September 30th at 10:30 AM at St. Anthony's Catholic Church, Fairmount with Father Scott Sautner as celebrant. Visitation will be on Sunday from 5 PM to 7 PM with a prayer vigil at 7 PM at Vertin-Munson Funeral Home, Wahpeton, ND. There will also be visitation one hour prior to the mass at the church on Monday. Burial with military honors will be held at Calvary Cemetery North of Fairmount. Pallbearers will be Gordon's sons Gordie B., Tony, Larry and Ted. Arrangements are entrusted to Vertin-Munson Funeral Home, Wahpeton. Gordon Carlyle Luick was born in rural Richland County on November 2, 1919 to Arthur W. and Christine (LIen) Luick. He was the second of six children: Donald (1918); Gordon (1919); Dale (1922); Helen (1923); LaVern (1925); and Artie (1932). He attended grade school at LaMars #1, and graduated from Fairmount Public School. Gordon took classes at North Dakota State College of Science in welding, engine overhaul, and electric motor repair. In 1942 Gordon signed up to defend this country during World War II, and he served until honorably discharged in 1945 as a Staff Sergeant, 3rd Army 87th Infantry Division, Quartermaster Company. Gordon returned to Fairmount and on August 2, 1947 he married Kathryn (Kutzer) Peterson, a local war widow with a young son, Richard. They were married at Kathryn's family farm and they lived and farmed at Great Bend, ND for the next 8 years. In 1955 they moved to the current farm in LaMars Township where they raised their large family. Gordon knew the value of hard work and honesty. He also saw value and use for all kinds of salvage (yes, "junk"! ), and one of his favorite things was attending auctions and other sales to see what treasures might be there. He always found good stuff and brought it home to the farm. Gordon could look at an item and have an idea for using it, or making something out of it, almost immediately - he had that talent. This brought about many salvage projects for the family throughout, and in addition to, the family's life on a farm raising beef cattle, hogs, chickens, horses and feed grain and hay. But there had to be time for music! Gordon and Kathryn made sure their 11 children had the opportunity to join the school band, the Tri-State Band, and their very own "Luick Combo", which performed locally and around the area from the late 1960's - 2002. Gordon's love of music and dancing, along with his quick wit and wonderful sense of humor, will be very much missed. In 2000 Gordon suffered a series of strokes which resulted in his early retirement from all aspects of farming and the salvage business that he loved. With loving care by wife Kathryn, and later by sons Gordie and Tony, along with the family, Gordon was able to stay at the family home until his peaceful passing. Gordon is survived by his wife, Kathryn, and children Claudia Luick, Kathy (Paul) Mahler, Gordie B. Luick, Christine (Steve) Anderson, Karla (Myron) Aune, Carol Bontjes, Tony Luick, Larry (Yolanda) Luick, Ted (Dawn) Luick and Lisa (Greg) Luick-Caceres, along with 35 grandchildren and 12 great-grandchildren scattered throughout the United States. Also surviving Gordon are his sisters-in-law Gloria (Vern) Luick and Marlene (Artie) Luick and brother-in-law, Clyde (Helen) Patterson, Virginia Beach, VA, sister-in-law Anna Marie (Wallace) McClesky, Carlsbad, NM, and brother-in-law/sister-in-law Clarence (Sonnie) and Dar Kutzer, Fairmount. 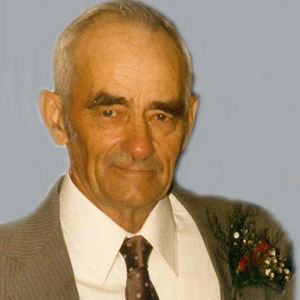 Gordon was preceded in death by his parents Arthur (1980) and Christine (1973), his son Richard Peterson (1963), one granddaughter Kyla (Mahler) Morehead (1998). Gordon was the last remaining member of his immediate family, predeceased by all of his brothers and sisters: Donald (1977); Dale (2001); Helen (2005); LaVern (2010) and Artie B. (2001). My wife, Trisha, and I would like to extend our deepest sympathy on the loss of Uncle Gordon. I have many wonderful memories of visiting Uncle Gordon, Aunt Kathryn and all my cousins during summer vacations. Thank you for sending us a letter this Christmas and letting us know. Our thoughts and prayers are with you. God bless you all during this time. Our sympathies. Deepest sympathy, Luke and Luick family.